17/Dec/2015 Posted By admin no comments. Cloud Computing is now seen as an essential part of any business and has vastly reduced the costs traditionally associated with IT and the in-house software and licensing issues. 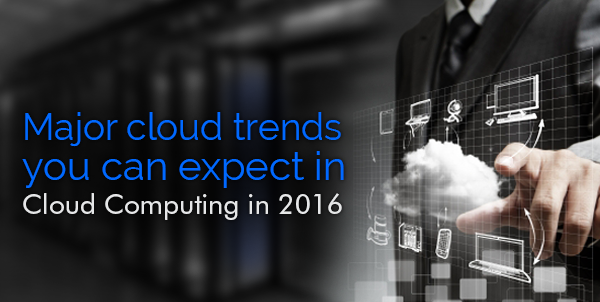 As in the past years the forecast for cloud computing is anything but bullish. Although computing as a service, what we call cloud, remains an evolving notion, it has now become fundamental to pretty much everything. According to a recent article by David Linthicum in InfoWorld, we should replace the word “cloud computing” with just “computing”. According to a study done by Forrester, a leading Market Research company in US, businesses will spend about $191 billion dollars on cloud services by 2020 as compared to $72 billion dollars in 2014. Many of the large cloud providers, like AWS and Google have already adopted the container technologies and are already building on the hardware, the OS and the application layer for support of containerization. As support for containers widens and more deployment/operational technologies in the container ecosystem mature, more of micro-service applications will be built on containers. We are still in the age where we classify on the basis of “Public Cloud”, “Private Cloud” and “Hybrid Cloud”, which will seize to exist once when the entire system shifts on the Container. With the introduction of containers and the new batch of agile deployment/management technologies, the locations of the cloud servers will be irrelevant. Organizations will no longer talk about private vs public clouds but will focus more on user experiences, backed by the fundamentally elastic infrastructure. Thus, making the cloud ubiquitous and omnipresent. We saw a mini-revolution in 2015 in terms of Big Data when Spark elbowed Hadoop out of the spotlight. Hadoop was processing data in big batches across many disks whereas Spark does the same process by doing it in small batches in big memory. This enables it to run in real time and be indistinguishable from streaming. Many of the Big Data companies like IBM have already adopted Spark and this trend will continue in 2016. Although Spark has some issues such as memory management and resiliency but industry experts believe that this will be taken care of in the coming year. The two leading on-premise PAAS offerings, Cloud Foundry, and openShift, with the support of Docker, has created a lot of Buzz in the PAAS implementation. Although, initially there were limitations in the first version of PAAS offerings which many industry leaders believe have been coming over by these offerings. According to a recent article by Martin Heller in InfoWorld, she still believes that, on premises, many enterprises can benefit from running PaaS as a modern, scale-out, polyglot version of the good old application server. Cloud based machine learning for fast Big Data prediction is the future and we will see a lot of advances in the same. With the extensive research on algorithms in various sectors such as Fraud detection and security applications, we may see more companies adopting Machine Learning. Advances in Machine Learning will keep unfolding thanks to the Big Data analytics in the cloud, but expect incremental gains, not miracles. Bitcoin has been tarnished many times over. But blockchain, the mathematical magic behind bitcoin, is on the verge of becoming a viable way to ensure the integrity of all kinds of transactions. The Blockchain cloud is a thin cloud as compared to traditional cloud computing infrastructure and is, therefore, more ideally suited for running new breed of thin programs, specifically known as “smart contracts”. In 2016, we will see many companies exploring the option for blockchain for trading platforms, ID cards, contracts, secure storage and many more. Its high time that “IT architect” become more of “Cloud architect” because that’s where the future lies. With the way businesses are adopting the cloud, it has become more evident that past innovations such as distributed computing, client/server, and the Web have become more of attributes and patterns. All of these are now baked into a single entity of how cloud computing is done and are no longer separate items.